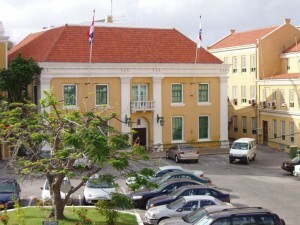 WILLEMSTAD - The government headed by Prime Minister Eugene Rhuggenaath has withdrawn the cassation request made by the Court of Auditors (ARC) at the Supreme Court to audit the telecommunication company UTS. According to the ARC, the government’s action limits its independence. “It may be clear that the result of the withdrawal of the cassation request by the seated government severely affects and weakens the independence, competence and the inextricable connection of the Court of Auditors as a controlling entity. And thus undermines the authority of parliament,” said the ARC in a letter to parliament. The Court of Justice decided earlier this year that the ARC is not authorized to audit UTS. Previously, the Court of First Instance also came to this conclusion. The audit was requested by parliament to investigate if there is corruption or bad management in the company. This was requested through a motion in 2014. Now that the cassation request has been withdrawn, the ARC cannot conduct an investigation into the management of the company.